When in Cuba, I managed to read two and a little bit of a third book. None of which were my intended book reads for reasons beyond my control. Remind me later to rave about the positives of actual books versus e-books. This book I ended up reading because it was saved on my e-reader and it was a super light read. During our 2 hour delay and the almost 6 hour flight, the minutes flew by as I was sucked straight into this chick lit treat. 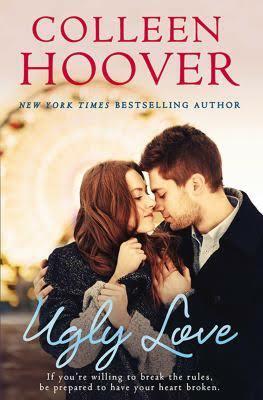 Although Hoover loves her formula: boy and girl bond over some type of loss which causes one or both to be a little broken; she does it well enough to keep my attention, have me fall in love with one or both main characters, and possibly shed a tear or two. Blink and the book is almost done, along with hours of time. Perfect for a quick and fun read and escape from reality. Kept my mind off the fact that my vacation was starting two hours behind schedule which was awesome! Downloading it as we speak!! Love me a good chick lit!! !